Buy any Certified Pre-Owned Volkswagen this month and get a Certified Warranty Package on us! This Volkswagen Jetta Sedan delivers a Intercooled Turbo Regular Unleaded I-4 1.4 L/85 engine powering this Manual transmission. Bluetooth Mobile Phone Connectivity, Light Tinted Glass, Electronic Stability Control (ESC). * This Volkswagen Jetta Sedan Features the Following Options *ABS And Driveline Traction Control, Front-Wheel Drive, 60-40 Folding Bench Seat, Body-Coloured Door Handles, Window Grid Diversity Antenna, Wheels: 15 Steel w/Full Wheel Covers, Wheels w/Full Wheel Covers, Urethane Gear Shift Knob, Trunk Rear Cargo Access, Trip Computer. * Dealership Information *Legendary since 1974. 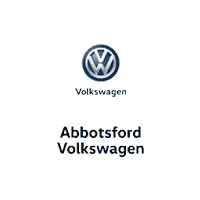 Welcome to the pinnacle of the in-dealership buying experience, Calgary's #1 Volume VW Dealership for over 23+ years. We feature non-commission sales, Calgary's largest new VW inventory, and a tenured Volkswagen Canada Certified staff that will appreciate and remember you after your second, third, and fourth purchases. Welcome to the Northland Family. * Stop By Today *A short visit to Northland Volkswagen located at 4849 Northland Dr NW, Calgary, AB T2L 2K3 can get you a reliable Jetta Sedan today! Calling all enthusiasts for this sleek and powerful Certified 2016 Volkswagen Golf Sportwagon Trendline. Take pleasure in the silky smooth shifting from the Automatic transmission paired with this high output Intercooled Turbo Regular Unleaded I-4 1.8 L/110 engine. With an incredible amount of torque, this vehicle needs a serious driver! It has the following options: Air Conditioning, Leather Steering Wheel, Remote Keyless Entry w/Integrated Key Transmitter, Illuminated Entry and Panic Button, Light Tinted Glass, Electronic Stability Control (ESC), ABS And Driveline Traction Control, Front-Wheel Drive, 60-40 Folding Bench Seat, Body-Coloured Door Handles, and Zoom Cloth Seating Surfaces. Pick up your friends and hit the road in this spirited and fun-loving Volkswagen Golf Sportwagon. Come in for a quick visit at Northland Volkswagen, 4849 Northland Dr NW, Calgary, AB T2L 2K3 to claim your Volkswagen Golf Sportwagon! **THE PRICE YOU SEE IS THE PRICE YOU PAY + GST. NO HIDDEN FEES OR GIMMICKS**At Northland Volkswagen we pride ourselves in offering only the best Pre-owned Volkswagens to our valued customers. Full transparency, a complete reconditioning report, and every single car comes with a full disclosure Carfax Report before you even ask to see it. All eligible cars must pass our rigorous 112 point Certified pre-owned inspection before we hand over the keys, and most will qualify for VW's ultra-affordable VW Assurance Premium 2 year / 40,000 km comprehensive warranty. We don't want this to be the only car we sell you, we want this to be the first car we sell you.Passionate enthusiasts wanted for this sleek and powerful certified 2015 Volkswagen Golf GTI Autobahn. Take pleasure in the quick shifting from the Manual transmission paired with this high performance Intercooled Turbo Premium Unleaded I-4 2.0 L/121 engine. Delivering an amazing amount of torque, this vehicle needs a serious driver! It's loaded with the following options: Engine: 2.0 TSI, Fender Premium Audio System inc: 8 speakers plus subwoofer, Cornering Lights, Proximity Key For Doors And Push Button Start, Wheels: 18 Austin Alloy, Remote Keyless Entry w/Integrated Key Transmitter, Illuminated Entry and Panic Button, Light Tinted Glass, Dual Zone Climate Control & Air Conditioning, Front Fog Lamps, and Electronic Stability Control (ESC). Find excuses for road trips in this lively and whimsical Volkswagen Golf GTI. For a hassle-free deal on this must-own Volkswagen Golf GTI come see us at Northland Volkswagen, 4849 Northland Dr NW, Calgary, AB T2L 2K3. Just minutes away!